A citizenship form is the most important legal document you will ever hold. It defines your existence along with offering several social and economic benefits. While citizenship is granted at birth, in some cases, people seek citizenship of other countries to be able to shift their base and start a new life. The change, however, requires you to abide by several qualifications – education, social, legal and more. 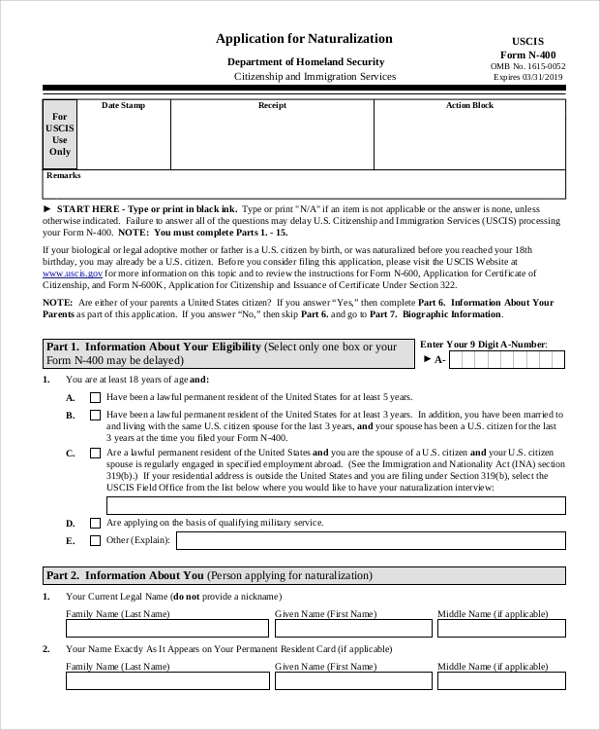 Well, here are some Best Sample Forms that should help you move forward with a change of citizenship and act as the first piece of a document on your behalf. 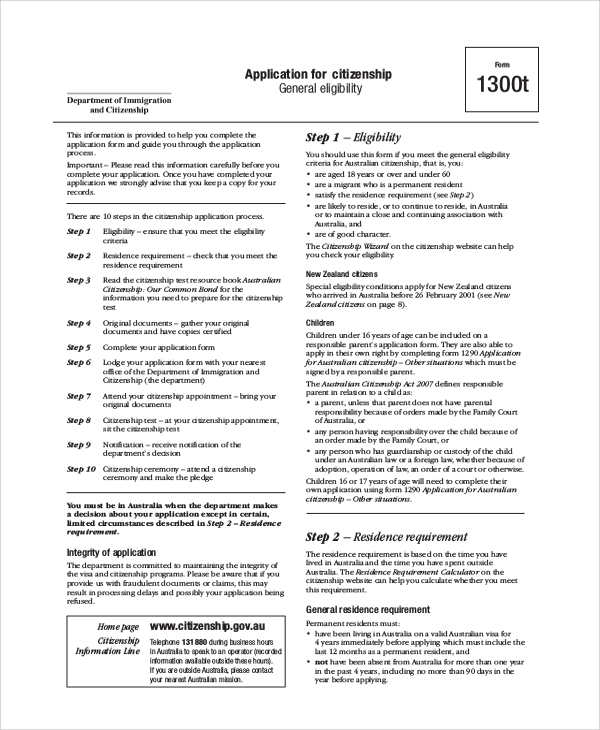 This citizenship application form is from the Fiji Government but does showcase the several details you will need to present for a citizenship application. 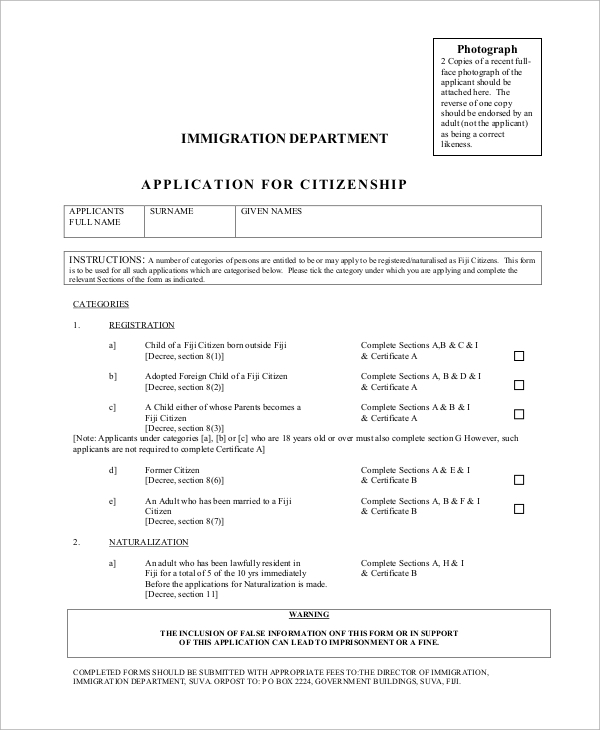 This form includes applicant’s personal details, occupation, marriage details, details of children, work/residence permits, reasons for application and much more. This will be an ideal form if you are seeking naturalization with the United States. The application requires several intricate details of your current status, including personal information, country of birth, nationality, disability details (if any), family information, biography, education details and a lot more. The extensive detailing is necessary under the provision of Form N-400. This will be the form you will need when you are going to invite a foreign national into your country for either the purpose of tourism or work. You will need to present all details about the person including your relationship, personal details, addresses, and other things necessary. 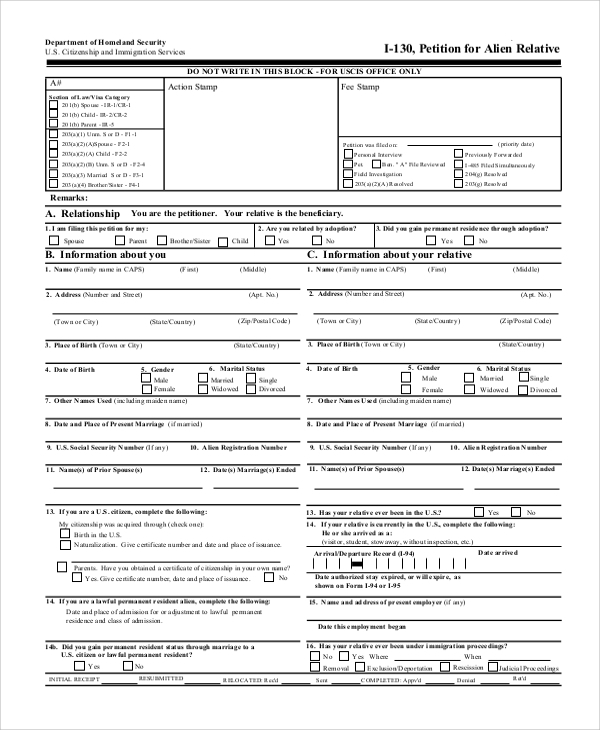 This form should be able to establish that the visiting individual has a purpose and the assets necessary for immigration. You may also see the Sample Business Forms. Who Needs a Citizenship Form? 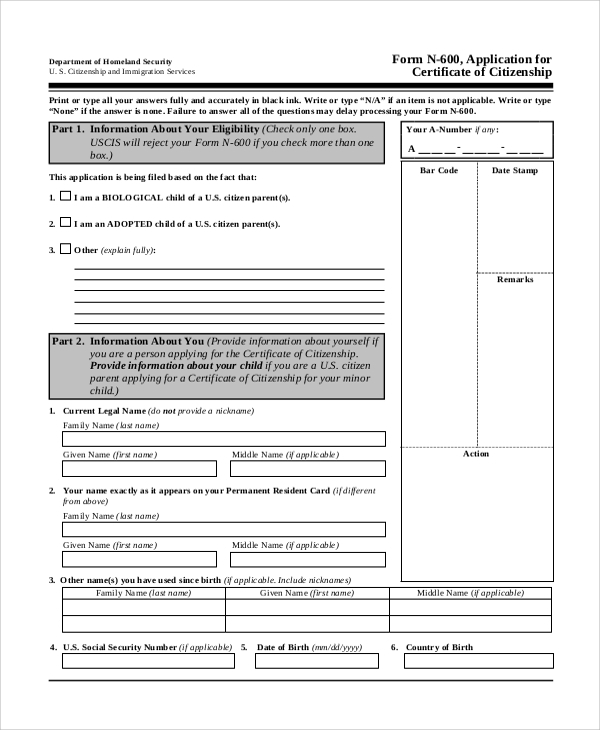 Anyone looking to change his/her citizenship or spend some time in a foreign country, either for work or travel needs to come up with a citizenship form. The forms provide all the necessary details that describe the individual and his/her purpose of the application. There are several provisions under the US citizenship when you can ask for a waiver on taxes or help with your finances. Whenever be the case, you will need to come up with a detailed form stating your reasons, your personal information, the benefits requested for, employment status, financial details and other things necessary. Use this form to ease the process. Whenever you are going to apply for Australian citizenship, the Form 1300T is the ideal way to proceed. 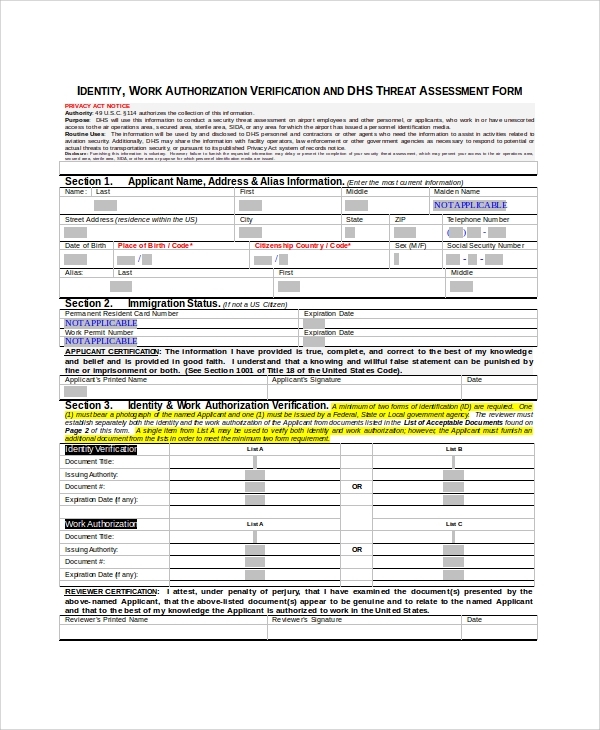 This template of instructions offers details about the eligibility, residential requirements, documentations, appointment and other things meeting your needs. This file also has the Form 1300T that can be filled up and be admissible with the authorities. 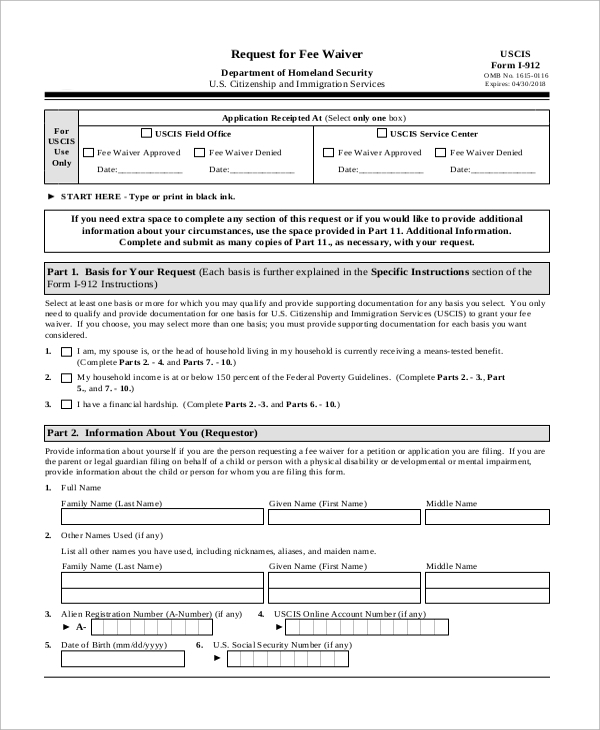 You may also see the Sample Rental Application Forms. Where to get Citizenship Forms? While citizenship Application Forms are available with the state agents and lawyers, you may even choose to apply individually. Just make sure that you download the form from a licensed website. All the above citizenship application and Sample Employment Application Forms can be regarded as government documents, admissible with the respective authorities.